It’ll be a rematch from the fighters’ amateur days. Yamaguchi Falcao and Chris Pearson met in the World Series of Boxing back in 2011, with Pearson winning a split decision, and the two will glove up against one another again on Thursday, May 2, with the fight streaming live on DAZN as part of Canelo-Jacobs fight week. 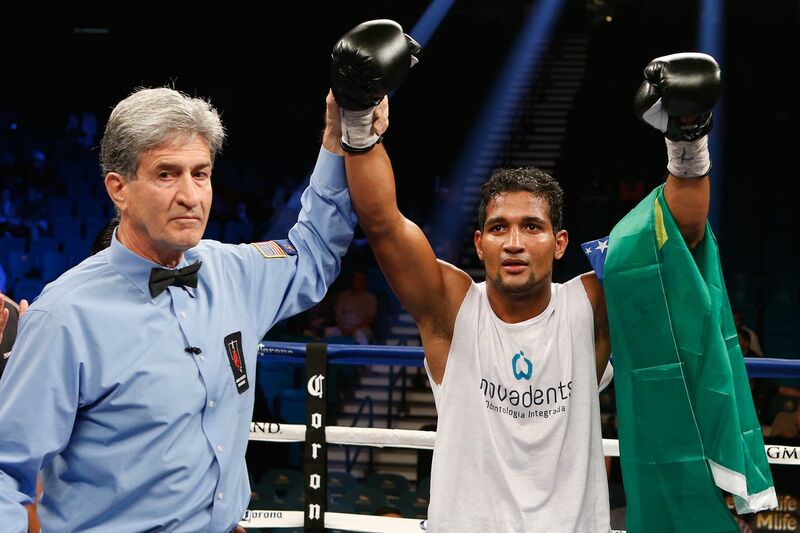 Falcao (16-0, 7 KO) went on to win a bronze medal at the 2012 Olympics, representing Brazil, and is undefeated thus far in the middleweight pro ranks. At 31, it’s probably time to get moving if he plans on being a legitimate contender. Pearson (16-2, 12 KO) fights out of Ohio. The 28-year-old lost his undefeated record via decision against Eric Walker in 2015, and was knocked out in two by Justin DeLoach in early 2017. He’s won his last two. Falcao was supposed to return in March against Paul Mendez, but that fight was scrapped due to Mendez having an issue with his pre-fight medical tests. He also recently became a father. “This fight is very personal to me,” Falcao said. “I’m planning to knock Chris out because he did not beat me the first time, the judges handed it to him! Falcao-Pearson will take place at The Joint at Hard Rock in Las Vegas.